Fashionistas, photographers and stylists love the infinite possibilities of hair. It can define a look, embellish an outfit, show status, tribe or culture. Each hairstyle says something about who we are and where we belong. This book celebrates the art of hair: braids, curls, loose hair, mohawks, chignons, coloured hair, wigs, crops. Fabulous images from the greatest names in fashion photography mix with rare and unseen archive pictures. 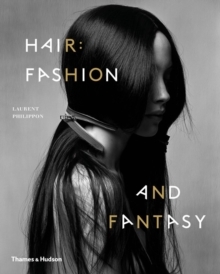 There are text contributions from stars of fashion, photography and hairstyling, as well as offbeat commentaries: Yannick d'Is on working with Avedon; Veruschka on Ara Gallant; Patti Wilson on the Afro; Amanda Lepore on transsexual glamour; burlesque heroine Dita von Teese on Hollywood glamour; Vidal Sassoon gives one of his last interviews; and beauty editor Kathy Phillips writes on blondes. There is also a street-level view of London's Seventies punk scene. This book will be a style classic, a bible for anyone in the profession, a must-have source of information and ideas, and pure pleasure for fashion addicts everywhere.